Tumbleweeds blowing in the wind have always been synonymous with barren deserts and lifelessness. But now rolling tumbleweed can be a life-saving signal to doctors. The National Aeronautic and Space Administration have been working on nanotechnology that would alert doctors if astronauts have experienced radiation damage. Specially designed “nanoparticles,” shaped similar to tumbleweeds, would be placed inside astronauts cells and act as signals to doctors if cellular change begins to develop, according to NASA’s website. The federal government has increased its funding for nanotechnology to $1.5 billion during the 2009 fiscal year. When astronauts become exposed to excessive amounts of solar radiation, their cells begin to essentially self-destruct. The nanoparticles would be designed to glow when cellular breakdown occurs. A special ear piece would monitor capillaries in the ear and alert doctors on Earth when high amounts of glowing cells are counted. 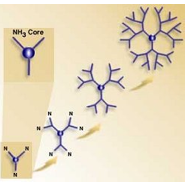 When elements are broken down to the nano level, unique properties begin to be displayed. Nanotechnology is the study of “matter at dimensions between approximately 1 and 100 nanometers” according to the National Nanotechnology Initiative, a governmental organization whose goal is the promotion and development of nanotechnology. A nanoparticle four nanometers in width is approximately one million times smaller than an ant. Advances in microscopes, especially the scanning tunneling microscope (STM), have allowed scientists to not only view nanoparticles, but to manipulate them as well. Since the creation of the STM in the ‘80s, nanomaterials have been used to in everything from tennis rackets to pharmaceuticals. The technology NASA is working on could help spot cancer and other cellular diseases in humans before symptoms of any disease began to surface.